The dead body of a fisherman washes up on a beach in Galicia. The police investigation, led by Inspector Leo Caldas (Carmelo Gómez), soon uncovers a mysterious secret involving a two-year old shipwreck, a missing woman, and a group of former sailors with a terrible secret. 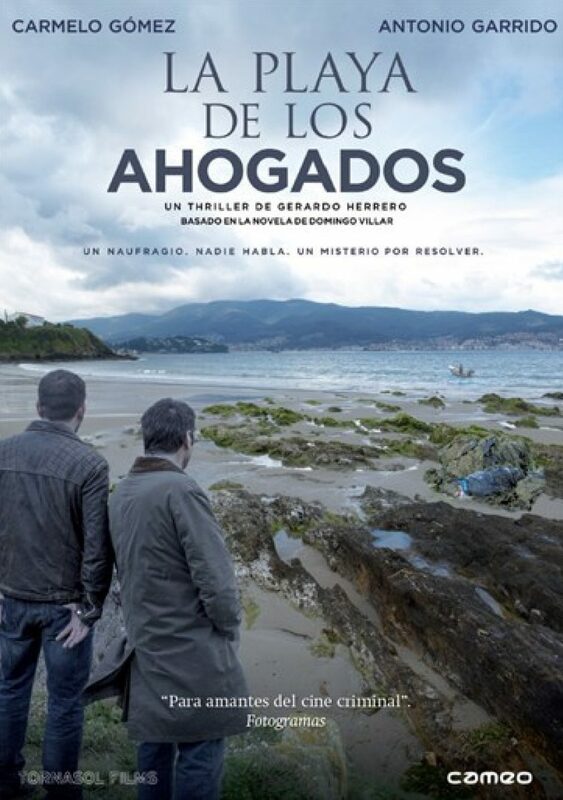 Based on the novel La playa de los ahogados by Domingo Villar, The Beach of the Drowned (sometimes titled Death of a Fisherman) is a contemporary murder mystery set on the coast of Spain’s autonomous Galicia region. For fans of the genre, it provides an intriguing mystery and a distinctive setting. For viewers seeking something a little more complex and nuanced than your average TV detective drama, it is likely to feel deeply underwhelming. Director Gerardo Herreo presents the film is a very straight-forward manner. The film is shot in a remarkably simple and direct fashion, which keeps the story and characters clear but sacrifices a lot of opportunities for a more innovative treatment. The Galician landscape and coastal towns present opportunities for an attractively framed and atmospheric film, but Herrero fails to tackle those opportunities. Between the visuals and the story, it seems complexity and inventiveness is not Herrero’s goal. He tells a familiar story of murder and criminal investigation, for an audience that is after something comfortable and easy to digest. In that sense it is difficult not to credit The Beach of the Drowned as a success: its director has an intention, and fulfils it capably. Whether or not the viewer enjoys the experience boils down to what kind of a film the viewer is seeking. In the context of the film Carmelo Gómez plays an excellent lead. Leo Caldas is a calm and methodical police detective, with a clear level of sympathy and patience that enables his investigation to take priority over any significant back story or character flaws. With the screenplay focused on the mystery, it is Gómez’s performance that provides a subtle level of depth through gesture, pauses and emotional tones. Perhaps it is that the film feels so much like an episode of a detective series, but one can imagine Caldas headlining his own television series without difficulty. The ease of imagining such a series is helped by the presence of sidekick Rafael “Rafa” Estévez, played by Antonio Garrido. He is the physical, aggressive off-sider to Caldas’ thoughtful protagonist, growing angry while Caldas remains calm and applying force where Caldas would prefer to hold back. Garrido plays the part very well, but he does seem too much of a stereotype. Among the supporting cast Luis Zahera seems the stand-out, playing one of the key suspects in a multi-layered fashion that provides a good amount of extra nuance. Ultimately The Beach of the Drowned is the sort of feature for which the term ‘satisfactory’ best applies. It fits perfectly within a genre and obeys its conventions. It tells a fairly interesting story with decent performances and a clear sense of purpose. That it does not extend itself beyond what is required of it is only a drawback if the viewer actively desires something more extensive or challenging. It does its job and is an average film; that is not a criticism, so much as an acknowledgement that many viewers are happy to get precisely what they want. If it’s a film for you, it’s an enjoyable one. If it isn’t, then it does no harm in existing. Sometimes enjoyable is enough.